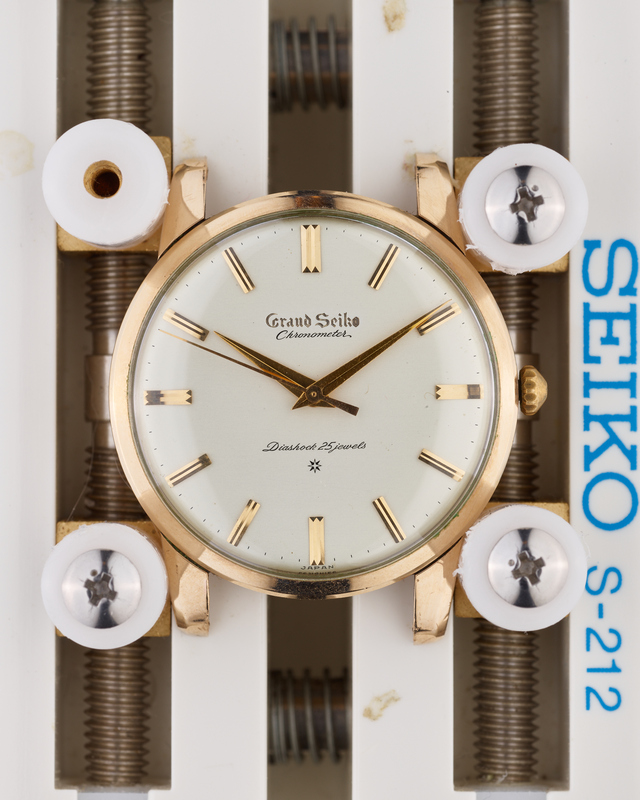 This is an early example of the carved dial version of the first Grand Seiko, with the dial in particular in superb condition. The method of carving the Grand Seiko logo can be seen to be very different to that of the other example we have in stock. It has a far more “organic” look to it. 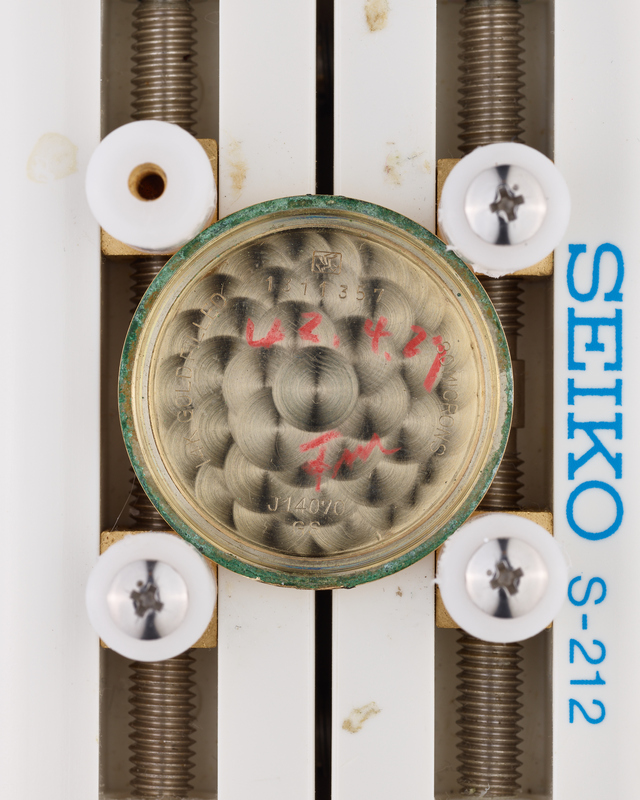 Note that the case number on this watch starts with “13” (indicating March 1961 production), whilst the other example starts with “17” (indicating July 1961 production). 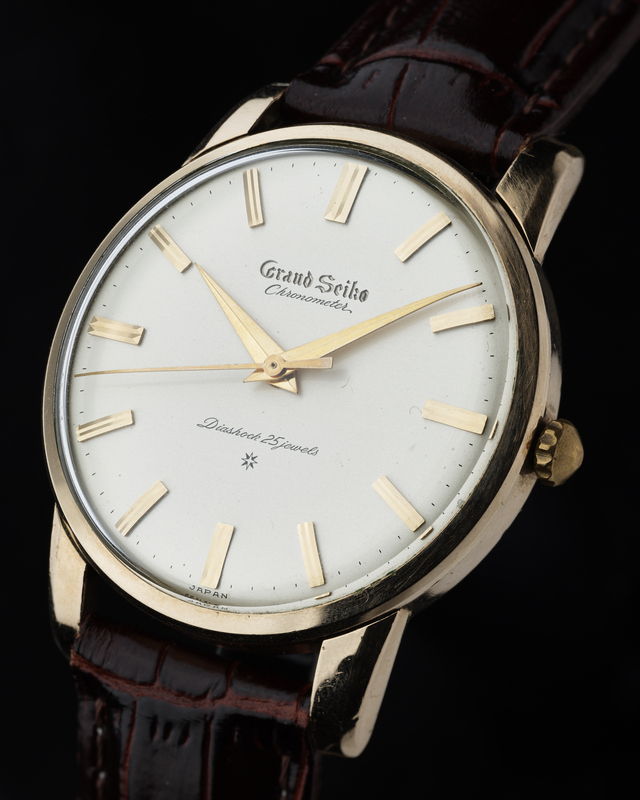 Additionally the movement in this watch is a very early one – numbered 601205 (a very early example of 1960 production), whilst the other example is numbered 109298 (production from 1961). 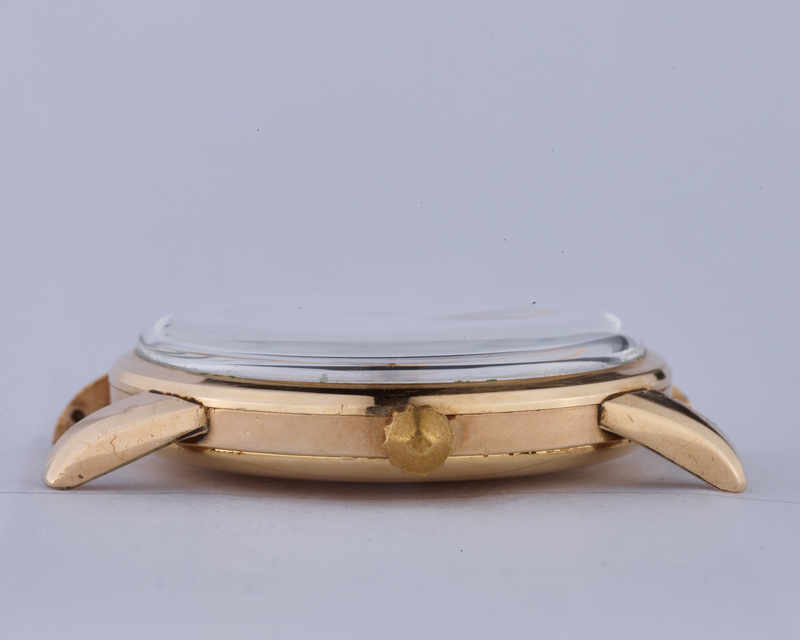 The case is also in excellent condition, with a few minor marks as one would expect on a watch of this age – refer to the provided detailed photographs to identify any blemishes. The lion logo is of the correct early type, retaining its strong contours. 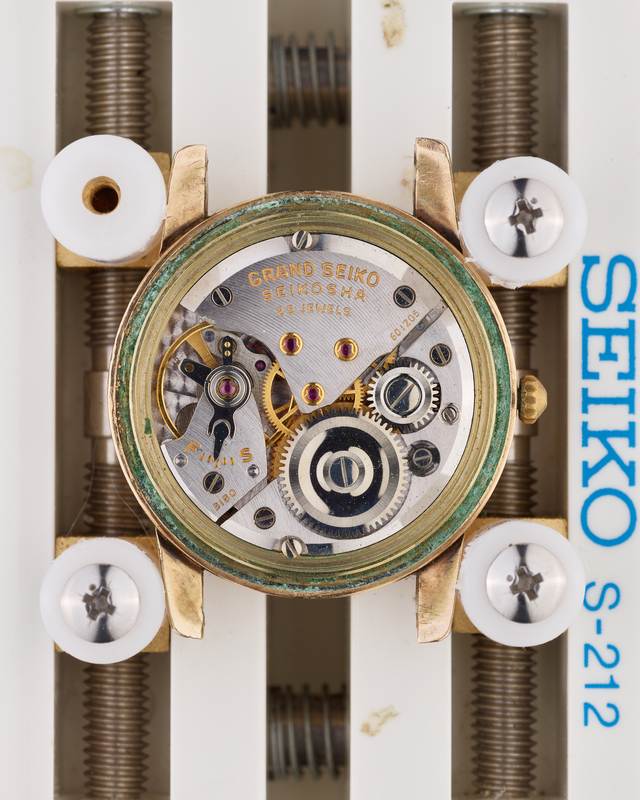 There is some confusion over the crowns used on the very earliest examples of Grand Seiko “Firsts” such as this one. 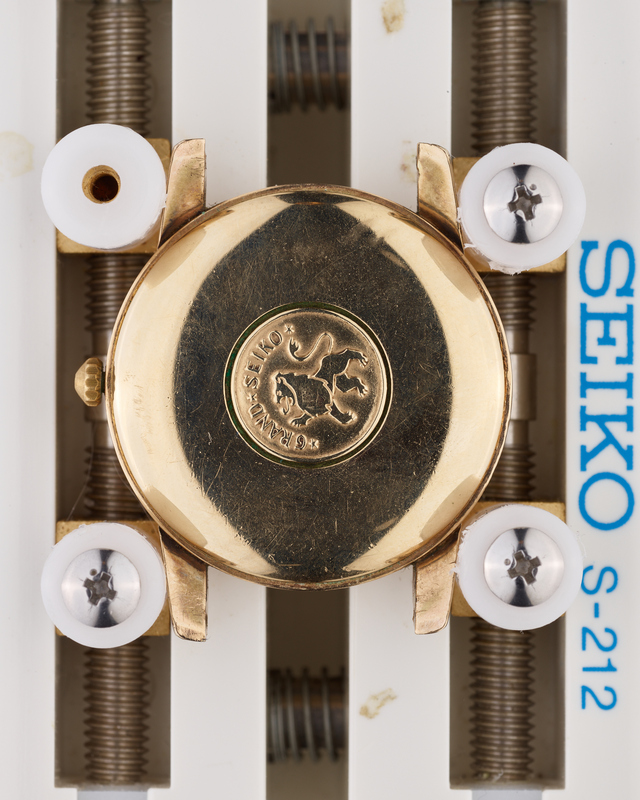 Whilst it was thought for a long time that the correct crown was the most typically seen one, with coarse knurling and an “S” mark (refer to the crown on our other example of this model), the March 1961 issue of Seiko News adds a lot of confusion as there are at least three, possibly even four, different types of crown seen on different images of the watch, one of which is similar to the crown seen here (it is also interesting to note that the buckle on one of the photos is not the one usually associated with this reference). 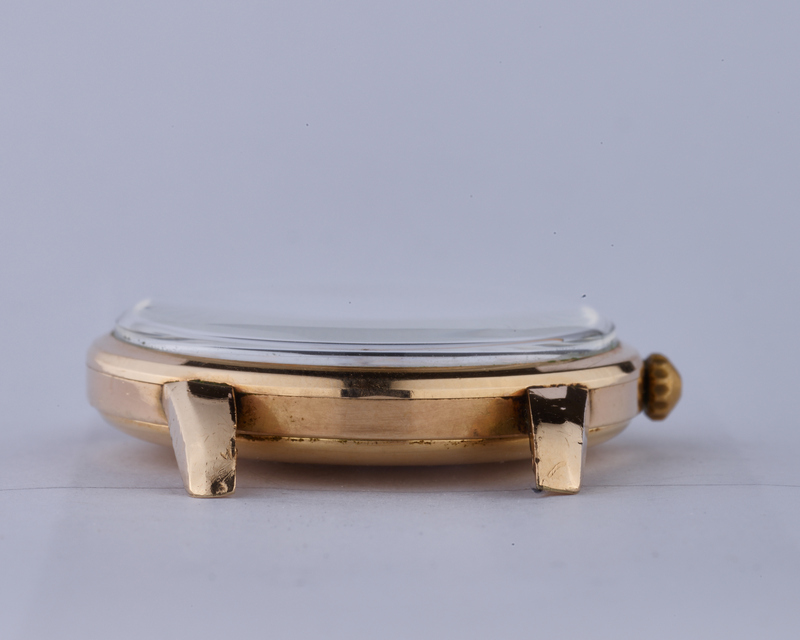 Since the photographs were taken, we have replaced the crown on the watch with the more common coarse-knurled version. 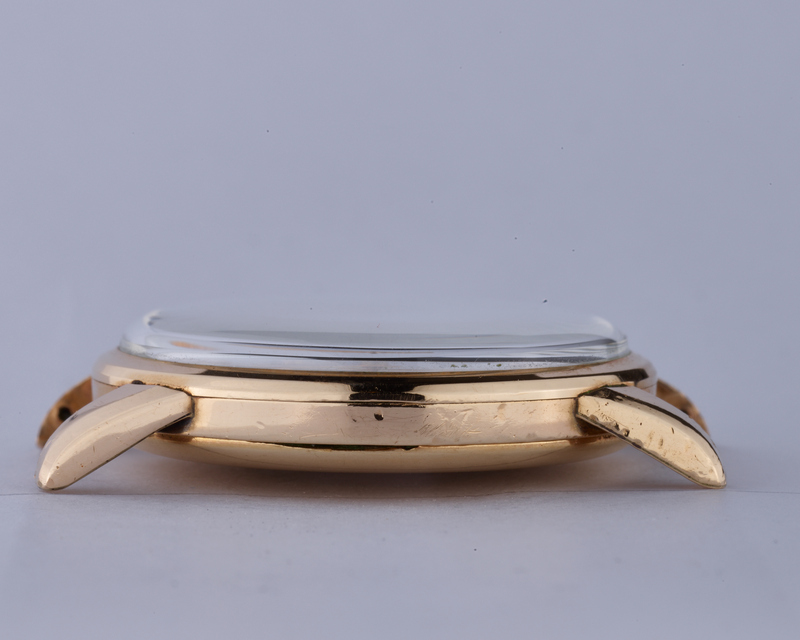 The crown shown in the photographs will also be included with the watch. 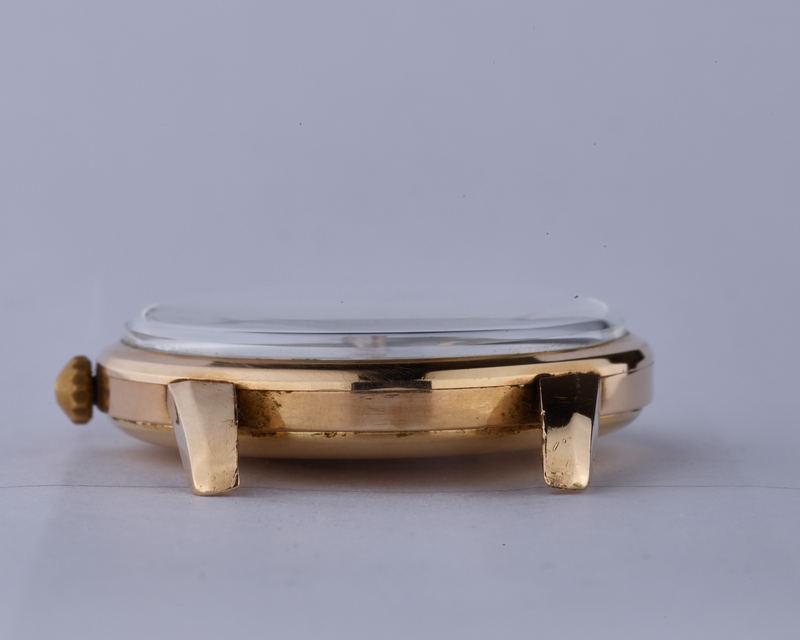 This watch was serviced in March 2018, comes with a 1 year guarantee (refer to the FAQ page for details), and is currently running at around +1 minute per day on a time grapher in the dial-up position.